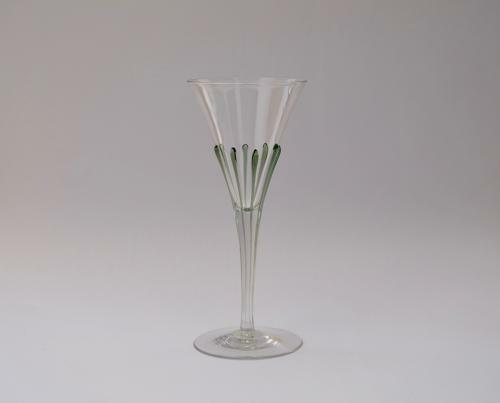 Rare wine glass with 8 applied sea green tears designed by Harry Powell and made by James Powell & Sons Whitefriars London. A similar glass is illustrated in Whitefriars Glass James Powell & Sons of London by Wendy Evans, Catherine Ross & Alex Werner 1995. P.83, Plate 83. The tear service was introduced at the Arts & Crafts Exhibition in 1899.